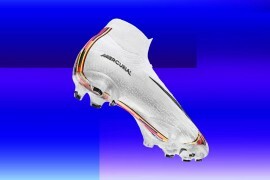 As far as heritage-inspired football boots go, the Mizuno Morelia Neo really is something extraordinary – which might just be why Mizuno keep coming up with extraordinary colourways for them! 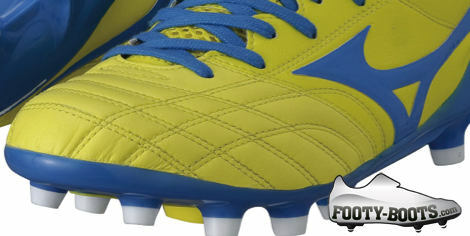 For example, feast your eyes on the Mizuno Morelia Neo – Yellow / Blue! 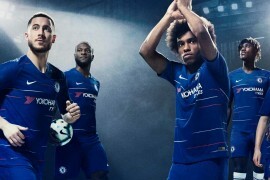 Mizuno are not strangers to yellow football boots (it’s a colour that has graced the Wave Ignitus and Supersonic Wave III over the past two years) but by teaming it with this distinctive blue, Mizuno really have come up with something unique! The bold yellow and blue create a combination that’s rarely seen on a pair of football boots, and certainly bring something of a sunny feel – maybe they’ll help to keep Brazilian superstar and Morelia Neo poster-boy Hulk think warm thoughts during his first Russian winter (we hear it’s a bit nippy…)! As has been true of the Morelia for over 25 years now, the Mizuno Morelia Neo' – Yellow / Blue' has touch and feel at the centre of the design. The K-Leather forefoot and toes is specially engineered to cut down on weight without sacrificing feel, creating an almost barefoot touch on the ball. 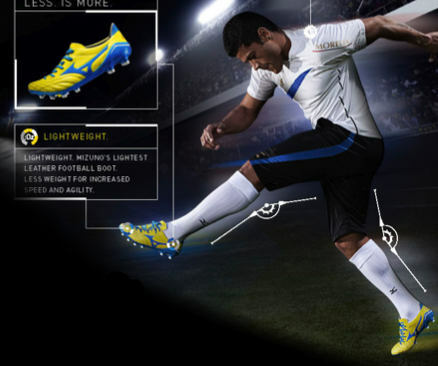 And that’s something that’s only complimented further by the weight; at a mere 170g, the Mizuno Morelia Neo' is not only the lightest boot Mizuno have ever produced, it’s amongst the lightest on the market – undercutting dedicated ‘Speed’ boots like the Nike Mercurial Vapor VIII and Puma evoSPEED in the weight stakes. The soleplate – inspired by the original Morelia – is created from super-light TPU, creating a chassis that is both scant in weight, but uniquely supportive thanks to it’s partially ‘wave’-inspired construction. We’re currently testing the' Morelia Neo' (though not in this colourway) and have to say that Mizuno have really created something technically impressive and incredible to play in. Whilst you can read the full thing next month (and watch the video!) it’s fair to say you can believe the hype on this release! 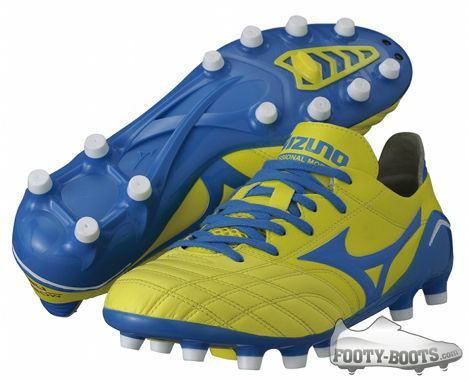 Set for a December release, you can expect to pay £150 / $210 for the Mizuno Morelia Neo' – Yellow / Blue. A fan of the colour? Bit over these flimsy light weight shoes. 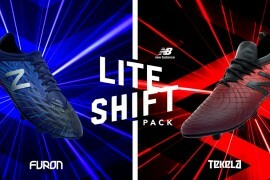 Which they would release more colours for their Wave Ignitus 2 range instead of these flimsy slippers. they might be very light (170g is quite light! ), but theyre prbbly oh so comfortable thanks to the k-leather; cant believe they achieve that weight with leather!.